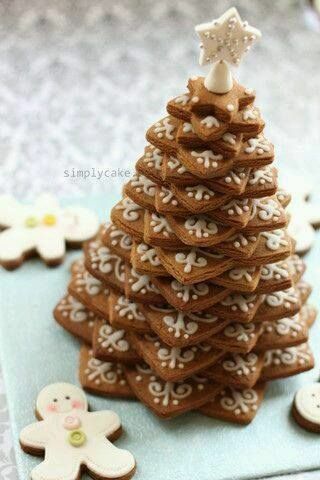 The above Gingerbread tree uses 20 star cookies, using the Wilton Cookie Tree Cutter Set. 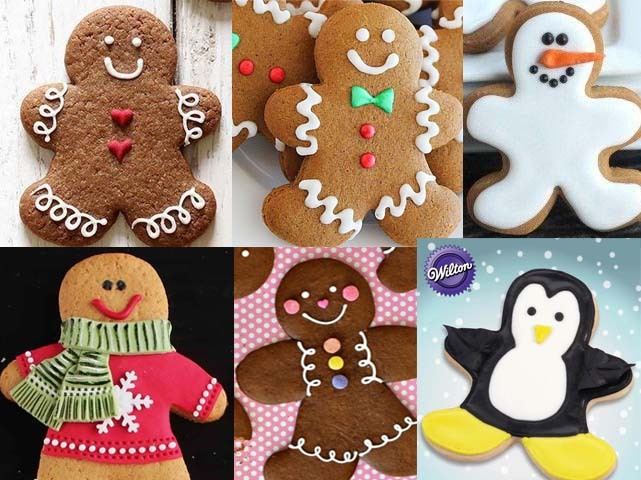 Here are some creative ideas you can use to decorate gingerbread men/women/persons/animals. 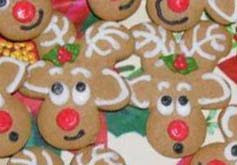 You can even turn the gingerbread man cookie cutter upside down and make these cute reindeer! 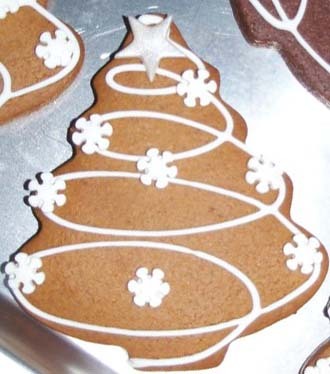 Here's another upside down cookie, using a heart cookie cutter. 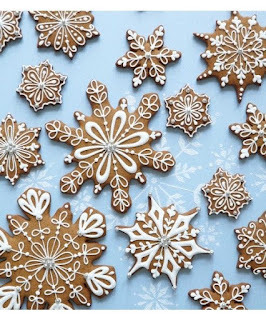 Here are some other fun shapes for gingerbread cookies. 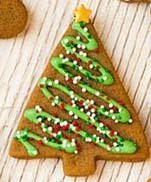 I like using this recipe for Sugar Cookie Glaze instead of Royal Icing. 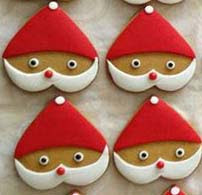 You can also find my Buttercream icing on the same page as well. 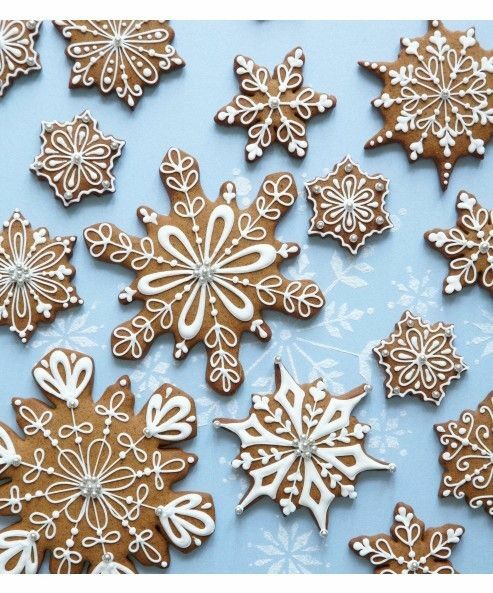 These assorted snowflake cookies are so pretty!